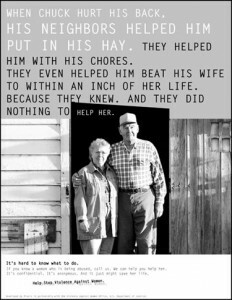 These public awareness campaigns, developed by and for rural communities, use multi-faceted approaches to challenge your community to take action when a woman is being battered. The broadcast-quality and camera-ready materials are available for download or purchase. Email Janice Wick for information on how to order any of these resources. 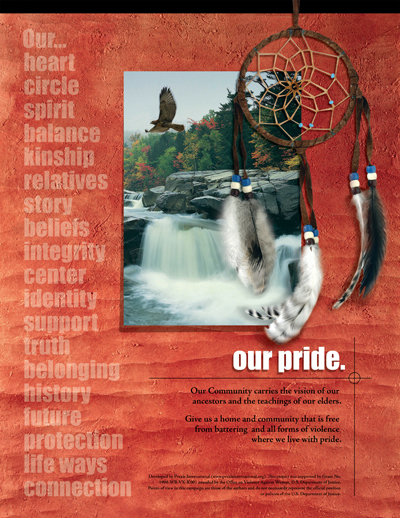 This public awareness campaign was developed by an inter-tribal group of rural grantees. We brought together our diverse experiences and identities to develop materials that incorporate our thinking, value sand beliefs. 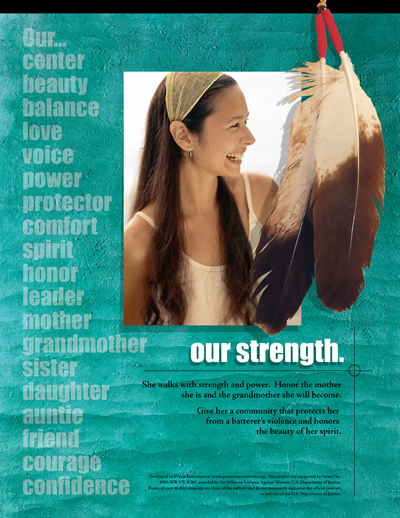 The campaign is intended to reach Tribal Nations, Alaskan Natives and Native Hawaiians across the United States.We believe the positive message will inspire Native and non-Native a like to create positive responses to ending violence against women. 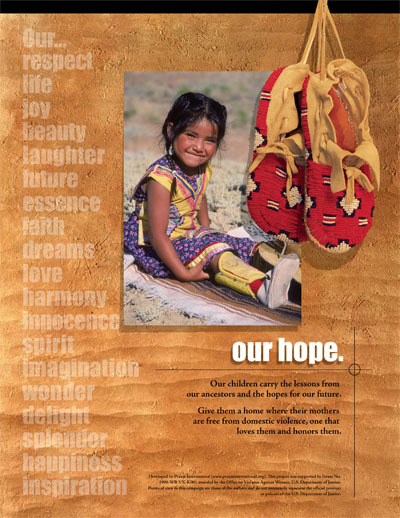 Our Hope (child) – Our children carry the lessons from our ancestors and hopes for our future? 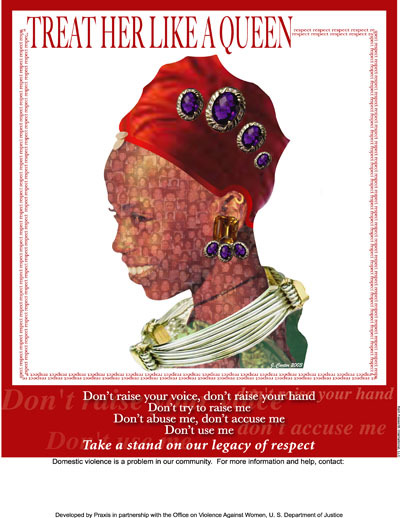 Our Strength (woman) – She walks with strength and power? 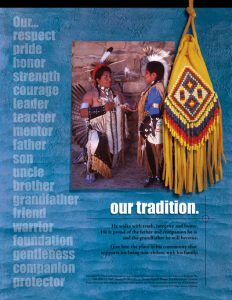 Our Tradition (man) – He walks with truth, integrity and honor? 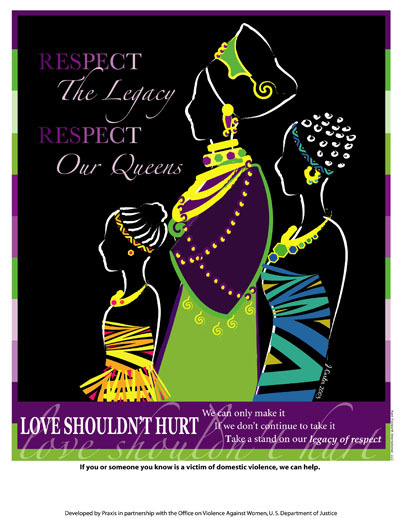 This public awareness campaign includes visual and audio aids that can be used as awareness and advocacy tools in your work with rural Black women who are battered. The materials are intended for organizations that are developing or have developed Black advocacy programs, have specific training for advocates who work with Black battered women, or are working with established Black community organizations. The goal of this campaign is to motivate rural community members to take action if they know, or even suspect, that a woman is being abused. 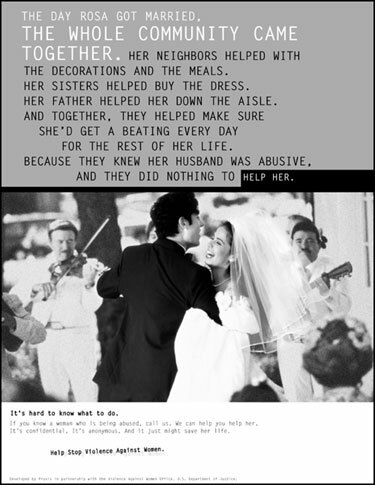 As people living in many different rural communities, we share the common value of offering help to neighbors and family members when they face troubles—yet we pause in acting on this value when the trouble is a woman being abused. 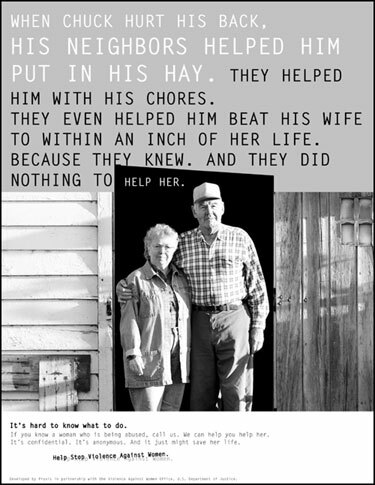 When the barn is hit by lightning and burns to the ground, as neighbors we all pitch in and help build a new barn. 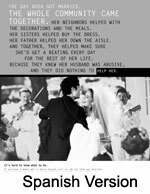 When one family doesn’t have much food to feed their children, as extended family members we drop off meals. 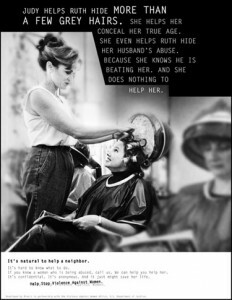 It’s natural to help a neighbor or family member. But when we see how the woman across the way is treated by her husband, or we see the bruises on our auntie’s or sister’s arms, we often don’t do anything or we say very little. It’s hard to know what to do.With this campaign, we hope to encourage all of us—as neighbors and family members—to call a local number to get some information and support for taking action to help any woman who is being abused.